Creamery Lite boasts a stylish design composition, fueled by responsiveness and concise structure. 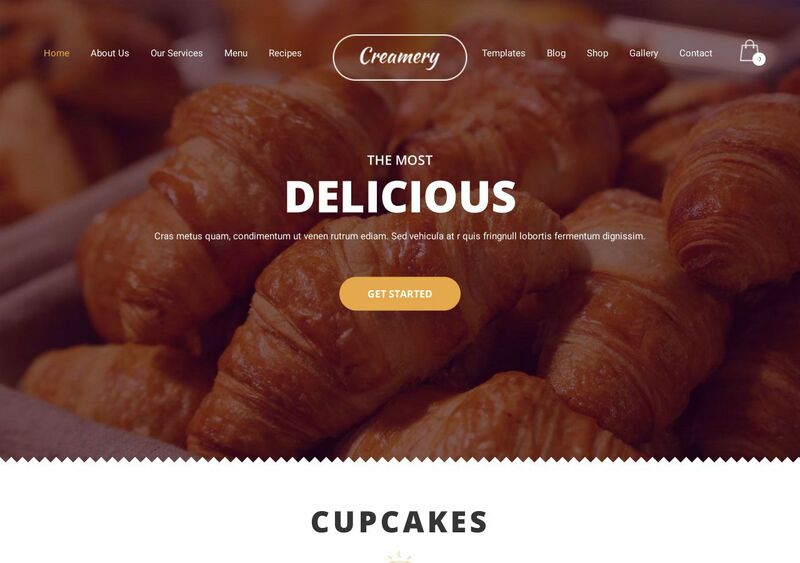 A theme of this grade exemplifies the very purpose that the theme was created for, which is Bakery businesses. There are a number of features you’ll want when thinking of any kind of food-related websites. First and foremost, Creamery Lite includes a custom-built Food Menu dashboard. Any items added to the Menu will be automatically displayed on your website. Further, you can sell your cakes and other products directly from the site thanks to WooCommerce integration. The shop is already designed, so you don’t have to do anything. Additional elements include Chef Display to highlight the people behind the magic! Also, you can add customer reviews in a wide-width widget displayed right on your homepage. And, of course, there’s a Blog which is spiced up with a crafty Recipes engine to help you publish unique and interesting recipes from your menu.